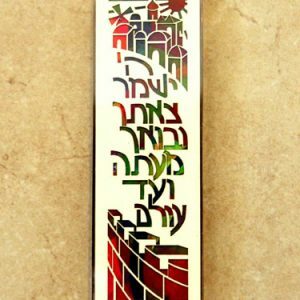 Categories: Great Gifts for the Holidays!, Judaica. 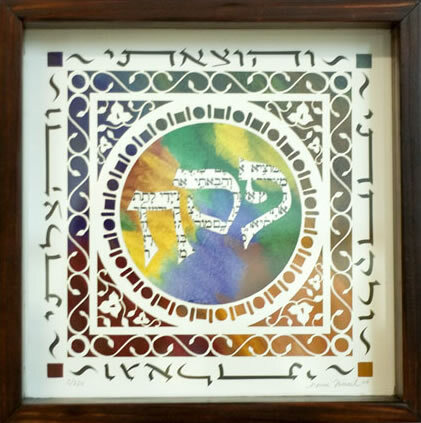 In this intricate artwork , the word Pesach (Passover) is central to this Pesach seder tray design. The tray can be used to hold Matza, the traditional unleavened bread we eat on the Passover holiday. The expressions surrounding the center refer to the four stages of the Jewish people’s redemption from Egypt. 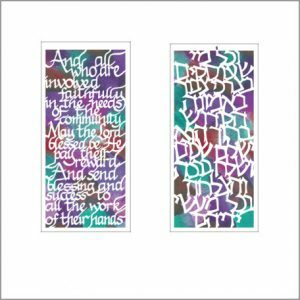 The fifth expression, shown as an actual piece of biblical text, is partially revealed and partially hidden behind the word Pesach. It refers to the final stage of the redemption process with the Jewish nation arriving and settling in the Land of Israel. 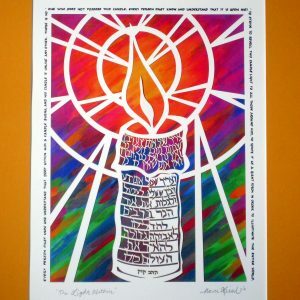 The paper cut, signed by Judaica papercut artist Marci Wiesel and numbered, is set in a rich mahogany stained wooden box. Limited edition of 250.